The beginning of February saw our annual Careers Week: take a look at some of the things our students were involved in here. Are you leaving school this year? We are still accepting applications for 16-19 year olds. Click here to apply. Roger Whiteside visited our Business students and gave an informative guest lecture about Business Evolution. Read more here. We offer over 80 courses for school leavers in Hampshire, with a wide range of options to help you plan your future. Find out now about the courses we offer. 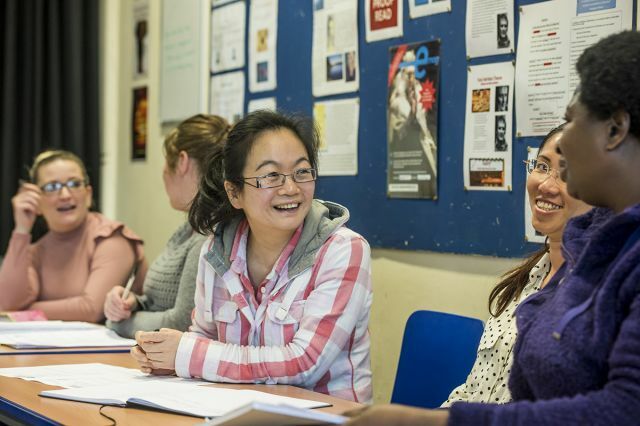 Itchen provides excellent provision for Southampton-based adult learners, with courses suited to a range of interests and abilities. Whether you are looking for access to higher education or want to develop your professional qualifications, you can achieve your goals at Itchen Sixth Form College. For over sixteen years, we have been welcoming students from across the globe. Join our fantastic community today.